Are you wondering where to go for your summer holidays this year but you aren’t quite sure where you should head this holiday season? Many of the countries in Europe will be teeming with travellers from both other European countries as well as abroad, and maybe you have already done much of Europe and are looking for something new, interesting and a bit of a challenge. In this sense, why not check out the ancient and beautiful country of Israel. With so much to see and do, you simply can’t go wrong with this exciting up and coming Middle Eastern destination. Israel has recently started becoming a big sought after destination, due in part to its climate, coastline and the people and food that are simply enjoyable. 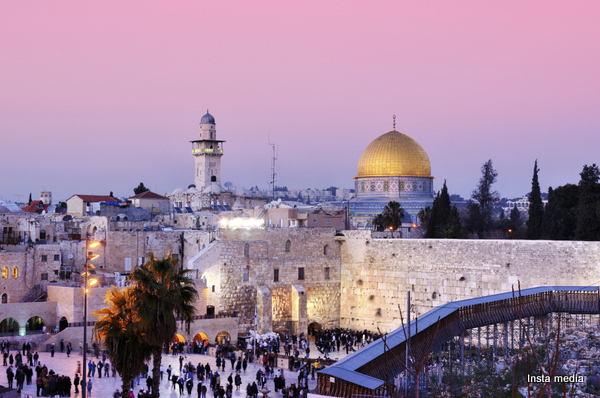 Israel has some of the world’s most interesting history, including Biblical history, which is another huge draw for so many people, regardless of faith. The tourism industry in this country is beginning to take off and with hotels, tour groups and more becoming larger and larger and able to handle more and more people, it’s easy to see that Israel is set to take off as the next big travel destination. In a word – plenty! Tel Aviv is a bustling and welcoming city with a number of great sights and attractions, especially it’s glorious stretch of fantastic Mediterranean coastline, perfect for relaxing on the beach. The spring time is the best time to come if you’re planning to get out of the city and hit some of the hiking trails – not only will the temperatures be more bearable for outdoor activities, but the winter rains will have fed all the flora, thus much of the country will be awash with blooms that will soon die off in the dry heat of the summer. Israel has some impressive hiking trails, such as the Jesus trail, which links Nazareth to major Christian sites around the Galilee region. You can also take the Nativity route, which is the same route Mary and Joseph took from Galilee to Bethlehem. Aside from this there are a number of sites of historic and religious significance for not just Christians but Jews as well as Muslims and those following the Baha’i faith. The Temple of the Bab in Haifa is one of the most holy sites for the Baha’i and is well worth a visit, even just to take in it’s beauty and impressive architecture. Hitching a ride on the highway is usually fairly easy especially if you’re in rural settlements such as the Golan Heights area where public transport is not common. If hitching isn’t your style, car rentals in Israel are also common and will give you flexibility as well as comfort and reliability to get to and from the remote places you may be interested in checking out. So there you have a couple of suggestions as to why Israel is a great destination for this summer, along with some brief information on how to get around and what there is to see and do. Israel is poised to become a huge tourist destination, so get in now and experience it before it gets too popular!